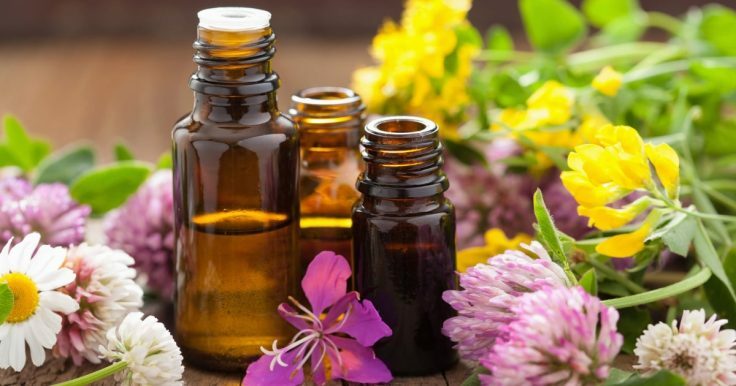 Learn how you can regulate your adrenal glands and eventually treat adrenal fatigue with the help of these five essential oils. If you don’t know what adrenal fatigue is, well, first of all, you can count yourself lucky. And secondly, you should know that it’s something that affects an awful lot of people. Whether you actually are suffering from full-on adrenal fatigue or not, it has almost certainly been a factor in your life at some point. The adrenal glands sit just above your kidneys and are responsible for the hormones that regulate many of your body’s functions: metabolism, blood sugar and of course, how your body reacts to stress. Adrenal fatigue is caused when the glands themselves are overworked. It commonly occurs when the adrenal glands producing so much of the hormones necessary to deal with stress that the other functions get less attention. This leads to things like exhaustion, colds or cases of flu and even depression in some cases. All of these are among the numerous symptoms of adrenal fatigue. It can seriously inhibit your lifestyle, but there is some stuff you can do to help fight the symptoms and treat adrenal fatigue. Between these potential cures is the use of essential oils. Here’s five of the best. Geranium has been linked to the treatment of chronic fatigue syndrome for many years and is also effective for adrenal fatigue too. The benefit of the stuff is that it will help boost your immune system. If you have a naturally more powerful immune system then you adrenal glands won’t be required to focus on that. They’ll still be producing a lot of hormones to deal with stress, but they won’t be as overtaxed because the geranium is helping out with your immune system. 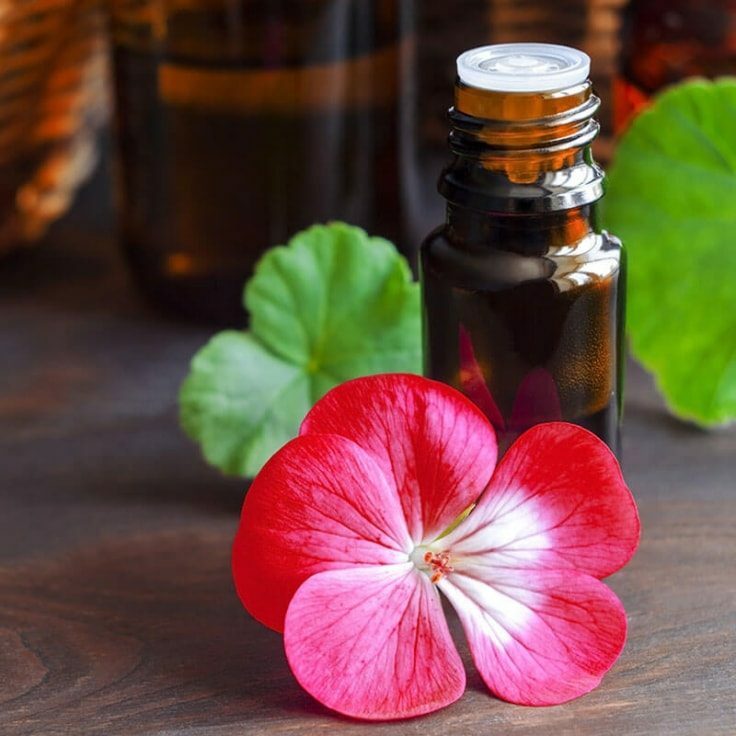 Geranium is effective in minimizing inflammation, which is something that causes an awful lot of problems. We tend to think of inflammation as more of a symptom than a cause. And in a sense this is accurate, organs do get inflamed when we’re ill. But inflammation is also the primary cause of a lot of different issues. Some of them are minor illnesses, some of them are serious diseases like cancer. The more inflamed your body is, the more work your immune system has to do. Your immune system can get overtaxed too, and this can be prevented by reducing inflammation. Geranium will also increase your blood circulation which helps with your immune system too. It’s worth noting that for best results, you should get pure geranium. Make sure that it’s not a mixture of a few different oils because that will ultimately just dilute the effects. Buy from a reputable aromatherapist. In fact, you should do this for every oil you buy. You can take geranium in a few different ways, but I’d recommend inhalation. Perhaps even a diffuser which will distribute the oils into the air in your home. Yep, frankincense is a real thing these days and not just some relic from two thousand years ago that was mentioned in the bible. And it’s got tons of health benefits in its own right. A lot more than just the ones that I’m going to be discussing on this list. 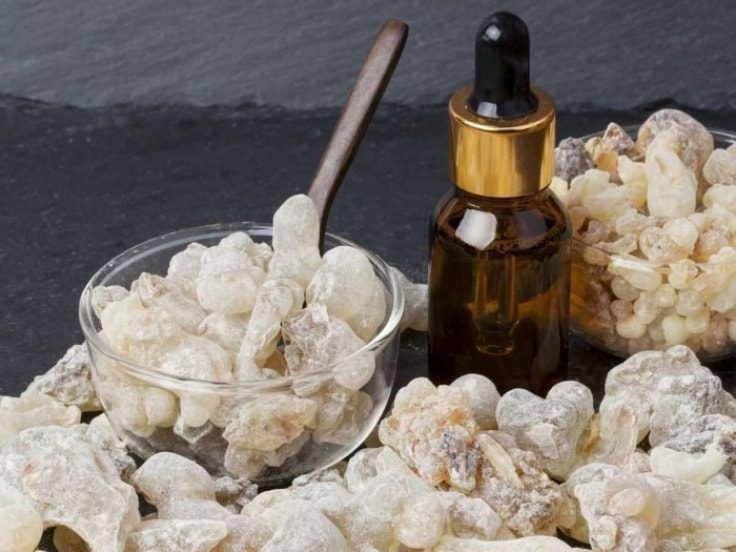 The primary function for the treatment of adrenal fatigue is how well frankincense works as a sedative. I would recommend that you either inhale or diffuse this oil too. And when you do, you will notice an almost instantaneous sense of relaxation. It will help lower your blood pressure and your heart rate which will lead to less stress. So you can expect this to reduce the demand that your stress is putting on the adrenal glands. It will leave them free to treat the other bodily functions that have been suffering and causing you fatigue. On top of that, frankincense has been known to help open up your breathing passages which will help you breathe easier and get more oxygen into your system. You’ll find all of the negative emotions that have clouding your mind like anger and fear, as well as any stress and anxiety that you’ve been dealing with, start to fade away. A major way to treat adrenal fatigue is to just eradicate the cause of it. That’s exactly what frankincense will do for you. 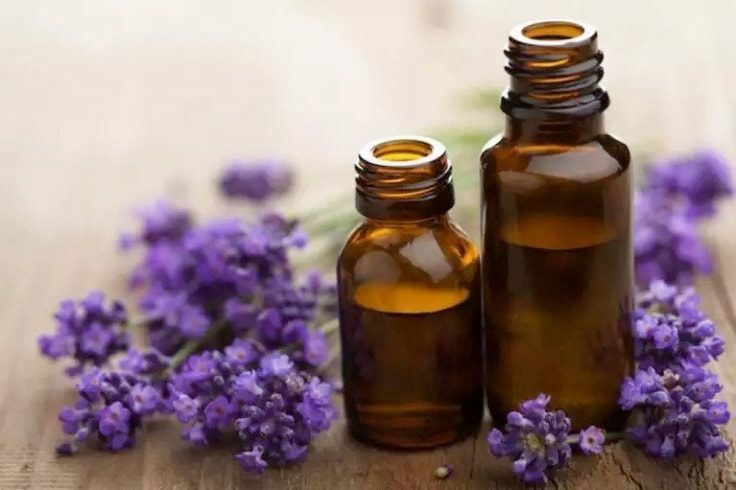 No matter what the issue that you’re looking for essential oils to treat, you’ve almost certainly come across lavender as a potential treatment a number of times. It’s common knowledge that lavender is one of the most versatile of the essential oils and can treat many different problems. So it’s really no surprise that it can also be very useful in the treatment of adrenal fatigue too. Much like frankincense, lavender is one of the oils that are very effective in relaxation. In fact, it has a similar effect on the body to some prescription anti-anxiety medications like Xanax. Its powers as a sedative will help reduce many sources of stress such as anxiety and depression and it’s also something that can act as an anti-convulsive. If you’re dealing with something like restless leg syndrome, lavender can subdue the symptoms of this which will naturally make you more relaxed. So much like frankincense, this is one of the oils that treat adrenal fatigue by removing the factors that are causing you stress in the first place. I suggest inhalation as the method of consumption. I think at this stage you can just assume that to be the most effective way to get an essential oil into your system. So you can use a diffuser if you want but lavender is so popular these days that you could just get your hands on a lavender-infused pillow that you can sleep with. You shouldn’t really have any trouble getting a dose of lavender into your body every day. In contrast to something like lavender, cinnamon bark is not all that commonly thought of as an essential oil. You’re more likely to find it in the kitchen and that’s completely understandable because cinnamon is absolutely delicious. It’s also one of the more nutritious spices too and there are quite a few health benefits to including it in your diet. It definitely is beneficial as an essential oil too though. Cinnamon bark helps strengthen the endocrine system, which is the body system that the adrenal glands are a part of. It’s an excellent source of nourishment for the endocrines. It will also help regulate your blood sugar levels and subsequently will supply you with more energy. The more energy you have the less likely you are to feel the effects of adrenal fatigue. Another advantage of cinnamon bark is the fact that it enhances other oils. 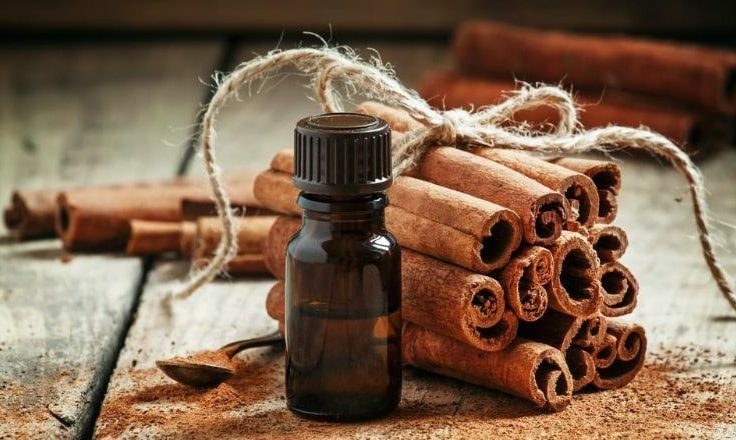 If you are taking some of the other oils on this list in conjunction with this one, their effects on your system will be amplified by the presence of cinnamon bark. You can inhale this oil too but it actually works better if you massage it into your skin. Try specific areas like your temples, hands, feet or solar plexus. 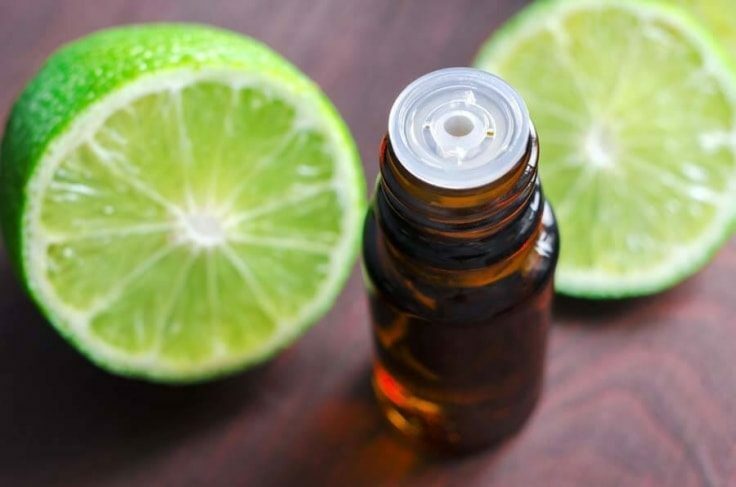 Lime is another great essential oil that will commit much the same function as frankincense and lavender. It’s always been considered an effective treatment for depression and anxiety, due to the fact that it stimulates positive energy. This is a common practice in China where lime is believed to be effective in cleansing what they call your ‘chi’. The validity of this concept is up for debate, however, there is some truth to the idea. Limes can relieve feelings of apathy and anxiety and can help uplift yours from feelings of mental fatigue. It’s a good idea to mix it with clove, another essential oil with similar healing properties as clove will help dull any physical pain and fatigue alongside the mental healing of the lime. To get the full benefit of this, massage the mixture into the skin close to your brain, somewhere around the ears or jawbone would be the best place for it. Adrenal fatigue is no fun and not only can it seriously inhibit your day-to-day life, but it can also lead to some more serious long-term problems if you don’t deal with it. There’s an essential oil or two out there to treat any ailment and adrenal fatigue is no exception. Give a couple of these a try and see which one works best for you.